A Diamond Select Toys Release! Want to investigate the X-Files with some style? 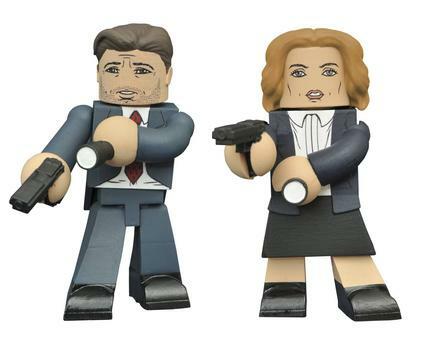 These stylized Vinimates PVC figures depict Mulder and Scully in their new looks from the 2016 mini-series, but captured in the geometric shapes of a Minimates mini-figure! Striking an action pose, with weapons at the ready, each 4" static figure has a ball-jointed neck, and comes packaged in a full-color window box.